Summer is here and you don’t have anything to wear? No problem, I’ve prepared a whole bunch of casual summer looks that you easily copy right now. 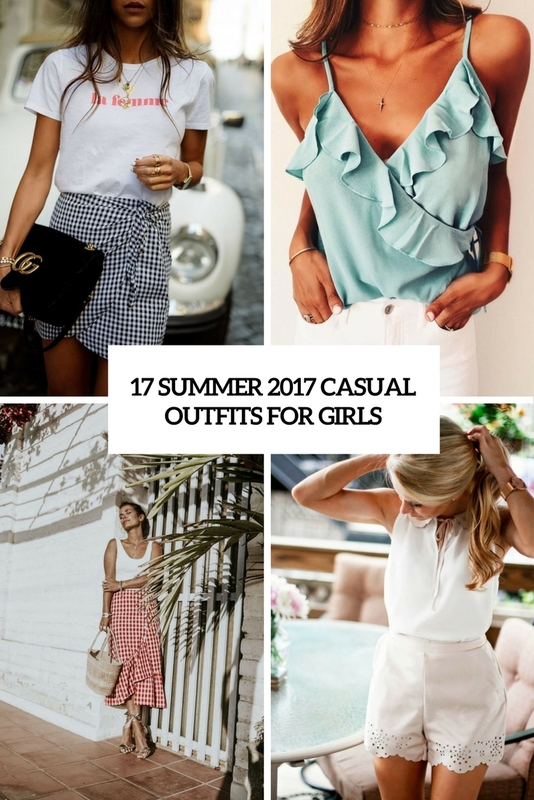 Most of them include the hottest 2017 trends, so you will get a fashionable and cool look. Let’s get started! 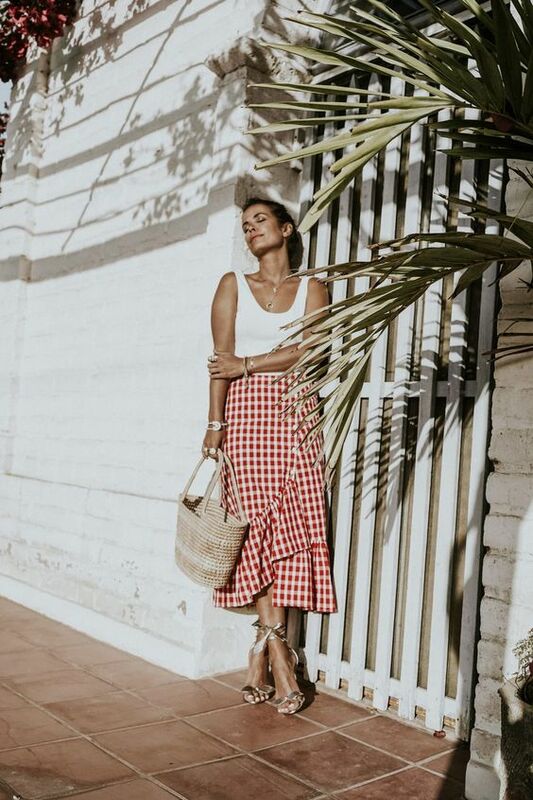 Shirt dresses are among the hottest summer items to wear because they are very comfortable and pretty easy to style – just add a pair of sandals to go! Boho lace dresses are in trend, too, and you can style them with denim jackets if it’s chilly. As for skirts, pay attention to distressed or buttoned denim, wrap and asymmetric skirts that can be worn with neutral or printed tees. 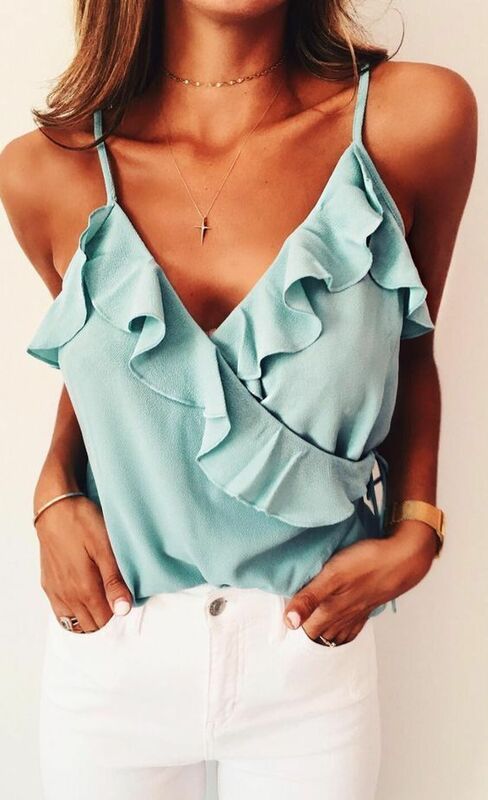 Shorts are a universal summer piece to wear, and you can rock them with a trendy off the shoulder top of your choice, a white shirt, a simple tee or long-sleeve with a cold shoulder. 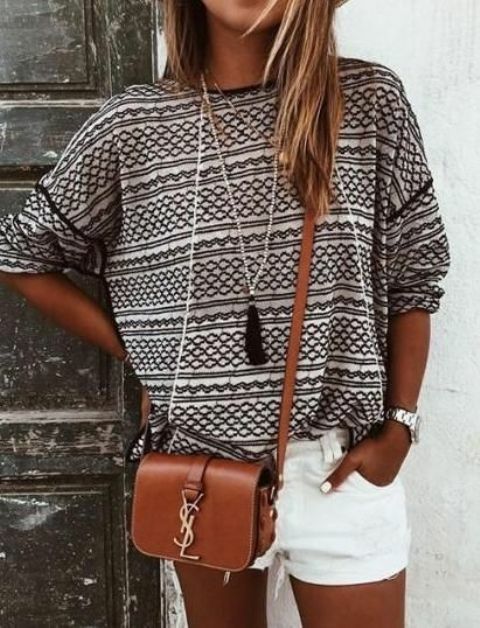 Overalls are among casual basics, wear them with tee and long sleeve shirts and add a pair of sneakers. Rompers and jumpsuits with cheerful summer prints are another great idea – just heels or sandals, and you are ready to go. 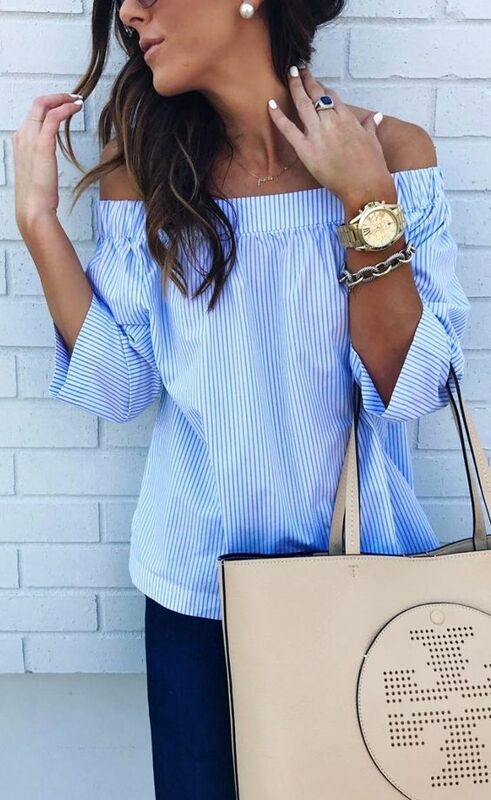 Jeans in blue or white can be styled with different tops – ruffled, one shoulder, asymmetric ones and so on. @stephanie_danielle I've been living in this @shopather top lately! Legit the comfiest sweater you'll ever put on.